Beach balls are over the place now and they are very cheap. I found some for 99¢ at Michaels and at Target. Needless to say, I have started a bit of a collection to use both at home and in the classroom. 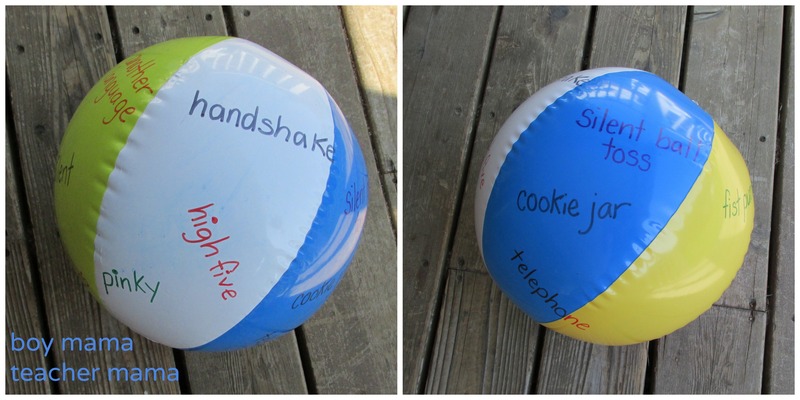 I have big plans for my beach balls and thought I would share them with you. *Practice and model how to throw the ball appropriately. *Decide which finger it is that will determine what the students do/say/read. For example, when you toss the ball, read the word that your RIGHT THUMB is nearest. This is a great way to practice left and right as well. * Determine rules for who to throw it to (ie must not be the person next to you) and what to do once you have had a turn (ie sit down). * Define the one-finger and two-fingered catch and be sure to remind the class which kind you are using before beginning. 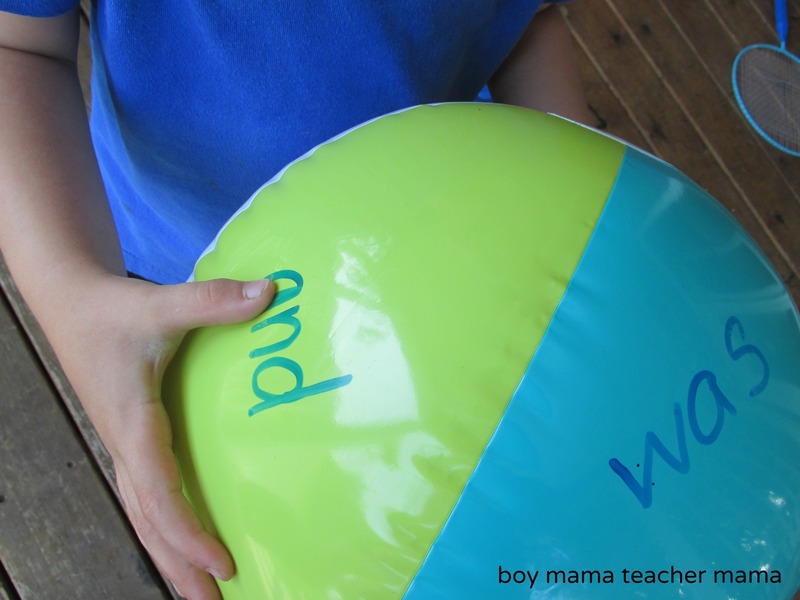 Write the sight words your students are working on the ball. Stand a few feet apart, toss the ball and read the word that your designated finger lands on. This can be done for high-frequency words, color words, days of the week, months and more! Write the names of songs or rhymes that you do as a class on the ball as you learn them. Then when it is time to sing, toss the ball to determine which song you will sing or which rhyme you will chant. 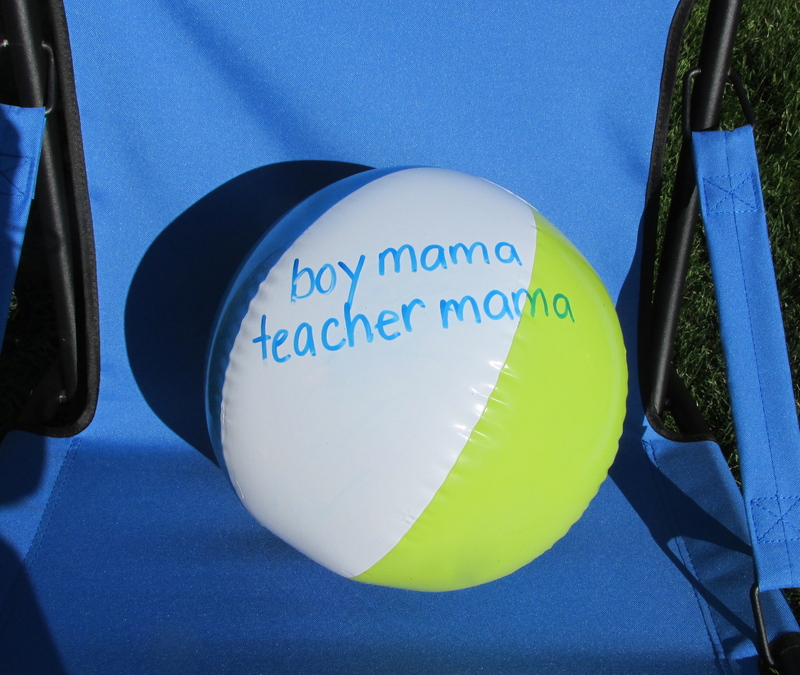 Depending on the grade your are teaching and what time of the school year it is, write numbers all over the ball. Younger children can simply name the number their finger lands on or the class can clap that number of times. Older kids can use two fingers and add, subtract (great practice for which number goes first in a subtraction problem) or multiply the two numbers. The two-fingered catch can also be used for greater than or less than. Students must say, “4 is great than 3” or “6 is less than 9” when they catch the ball. Great for the vocabulary of math! Write the names of all the students on the ball. When you have to pick someone to go first, toss the ball and the decision is done for you! This works for picking partners too. Have the student toss the ball up and catch it and where ever the designated finger lands determines that students partner. Write left and right several times all over the ball. Throw the ball to begin the game. If the designated finger lands on LEFT, you have to toss it to someone to your left. If it lands on RIGHT, you have to toss it to someone who is to your right. We do a greeting and a short game every morning during our morning meeting. By the end of the first month of school we already have quite a selection. This year, I am going to add each new greeting or game as I teach it to the class and then when we want to pick a greeting or game, we just toss the ball! Now, I realize we don’t all have enough storage for 14 beach balls! Of course, they can always be deflated for storage OR, (and this is my plan) I am going to hang them from the ceiling in my room! This way access is easy and they make great decorations! Another option is to write on the ball with a whiteboard marker, but this may wipe off. Perhaps covering the writing with a piece of clear contact paper will keep it from smudging and would be easy enough to remove when you want to change what is on the ball! Beach balls can be used at home to practice any of the above skills/concepts. They could also be used to determine chores, pick family outings, who goes first or even what kind of weekend treat the family has earned! Great ideas, there are so many different ways you can use this one. I had these when I was a teacher in the classroom. 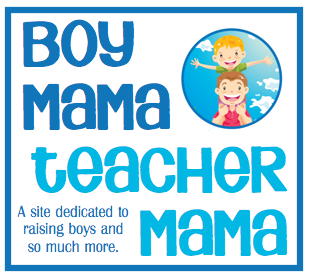 They are such a brilliant teaching tool, as you so well outlined in this post. Thanks. So going to use this for relief teaching. Easy to pack in my bag and blow up when I’m there. You rock! Great idea Penny! I have one more I am posting either tonight or tomorrow that could work for relief teaching as well! Definitely pinning this to refer to later, what great ideas!! What a great collection of ideas. i love the left/right game. Fun! 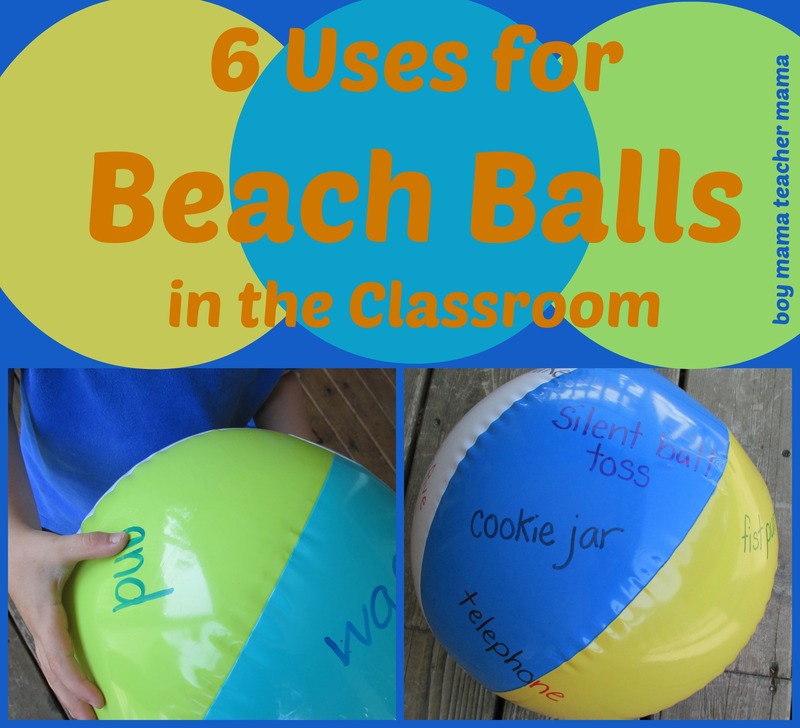 Wow, i would never have thought to use beach balls in this way…you are so clever with making resources Stephanie…such a fun way to learn!